NOTE: Read my latest post on how to register and attest for the EHR Incentive Programs here. Where Did the Idea of Meaningful Use of Electronic Medical Records Come From? The American Recovery and Reinvestment Act of 2009 was signed by President Obama on February 17, 2009. The Law includes the Health Information Technology for Economic and Clinical Health Act or the HITECH Act. The HITECH Act establishes programs under Medicare and Medicaid to provide incentive payments for the Meaningful Use of Certified Electronic Health Records technology. The goal of the HITECH legislation is to improve healthcare outcomes, to facilitate access to care and to simplify care. It is believed that the installation of electronic health records in medical practices is only the beginning. The goals of HITECH will be met when the EHR is used in a meaningful way. Use of a certified EHR in a meaningful manner such as e-prescribing. The first stage of Meaningful Use is capturing and sharing the data. Meaningful Use Stage II is advanced clinical processes and Stage III is starting to look Meaningful Use of an EHR in the context of improved healthcare outcomes. Measure: At least 80 percent of all unique patients seen by the EP have at least one entry (or an indication of “none” if the patient is not currently prescribed any medication) recorded as structured data. Measure: At least 80 percent of all unique patients seen by the EP have at least one entry (or an indication of “none” if the patient has no medication allergies) recorded as structured data. Measure: For 2011, an EP would provide the aggregate numerator and denominator through attestation as discussed in section II.A.3 of this proposed rule. For 2012, an EP would electronically submit the measures are discussed in section II.A.3. of this proposed rule. Measure: Implement five clinical decision support rules relevant to the clinical quality metrics the EP is responsible for as described further in section II.A.3. Objective: Submit claims electronically to public and private payers. Measure: At least 80 percent of all claims filed electronically by the EP. Measure: At least 80 percent of all patients who request an electronic copy of their health information are provided it within 48 hours. Measure: Clinical summaries provided to patients for at least 80 percent of all office visits. Objective: Capability to exchange key clinical information (for example, problem list, medication list, allergies, and diagnostic test results), among providers of care and patient authorized entities electronically. Objective: Perform medication reconciliation at relevant encounters and each transition of care. Measure: Perform medication reconciliation for at least 80 percent of relevant encounters and transitions of care. Objective: Provide summary care record for each transition of care and referral. Measure: Provide summary of care record for at least 80 percent of transitions of care and referrals. Objective: Capability to submit electronic data to immunization registries and actual submission where required and accepted. Measure: Performed at least one test of certified EHR technology’s capacity to submit electronic data to immunization registries. Objective: Capability to provide electronic syndromic surveillance data to public health agencies and actual transmission according to applicable law and practice. Measure: Performed at least one test of certified EHR technology’s capacity to provide electronic syndromic surveillance data to public health agencies (unless none of the public health agencies to which an EP or eligible hospital submits such information have the capacity to receive the information electronically). Objective: Protect electronic health information maintained using certified EHR technology through the implementation of appropriate technical capabilities. Measure: Conduct or review a security risk analysis in accordance with the requirements under 45 CFR 164.308 (a)(1) and implement security updates as necessary. Have the Details of MU been finalized? The rule could require manually entering results from laboratories that don’t have an interoperable interface with the physician’s electronic health record. The term “health information” is used throughout the proposed rule, but is never defined. A requirement that a patient’s health information be shared with that patient within 48 hours doesn’t take in account that physicians or their staff may not be able to process the information if that 48-hour period includes weekend days. There is no incentive for physicians who meet less than 100% of the proposed requirements, so it is an all-or-nothing approach. Nearly all are aware of the upcoming incentive programs for meaningful use of electronic health records, but fear the programs will reduce physician productivity. 68% of respondents expect physician productivity will decrease if all 25 proposed meaningful use criteria are implemented. Nearly one-third believe the decrease in productivity will be greater than 10 percent. Almost 25% of practices without an EHR doubt some of their providers will ever attempt to qualify for incentives. Among practices with an EHR, nearly 84 percent believe some of their physicians will attempt to qualify for Medicare or Medicaid incentives by the end of 2011. How Do I Comment on the MU Standard? You can submit your comments on the NPRM on MU here. You can read comments already submitted here. 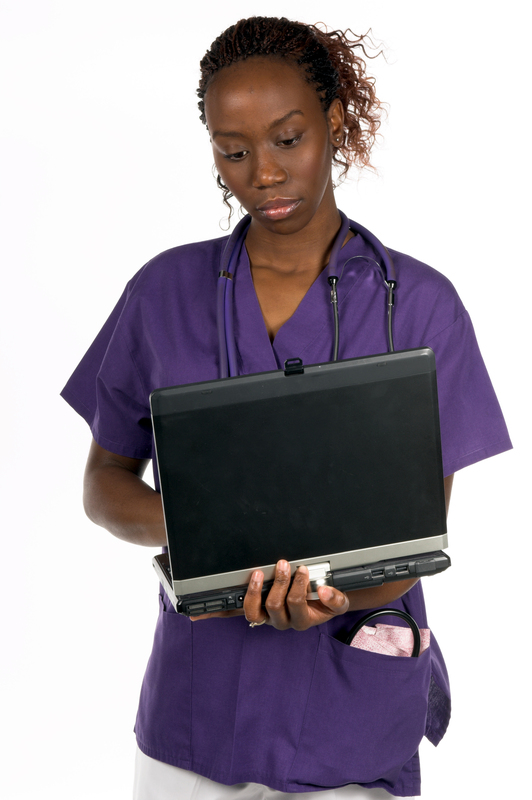 How Do I Know if My EHR is Certified? This term encompasses three general types of payers to establish eligibility: 1) Medicare Fee For Services (FFS), 2) Medicare Advantage (MA) and 3) Medicaid. For hospitals to be eligible, they can be acute care (excluding long term care facilities), critical access hospitals, children’s hospitals. For providers, these include non-hospital-based physicians who receive reimbursement through Medicare FFS program or a contractual relationship with a qualifying MA organization. The Act defines the term “hospital based” eligible professional to mean an EP such as a pathologist, anesthesiologist,or emergency physician, who furnishes substantially all of his or her Medicare covered professional services during the relevant EHR reporting period in a hospital setting (whether inpatient or outpatient) through the use of the facilities and equipment of the hospital, including the hospital’s qualified EHR’s (Fed Reg p. 1905). The determining factor is the site of service as to whether the service is hospital based or not. If the EP provides at least 90 % of their services in a hospital inpatient, hospital outpatient or hospital emergency room setting (Point of Service codes 21, 22, 23), then they are considered a hospital based EP and not eligible for EHR incentive payments (i.e. providing substantially all of his or her Medicare covered professional services). physician assistant practicing in a Federally Qualified Health Center (FQHC) or a Rural Health Clinic, led by a physician assistant. What are the Guidelines for Providing Patients With Their Medical Records Electronically? Do Eligible Providers Have to be Participating With Medicare to Receive the Incentive Money? No, the eligibility requirements only relate to the benchmarks for the percentage of Medicaid patients you have, or amount of allowed Medicare charges you have. Can Eligible Providers Work at Locations Other Than Hospitals and Private Practices and Receive the Incentive Money? The location where the provider works is not the issue. The issue is whether or not the provider meets the requirements, either for Medicare or Medicaid, to be considered eligible for the program. It doesn’t matter where the provider accesses the certified EHR. If they meet the eligibility criteria, and they are using a certified EHR, they can collect on the stimulus money. What Are Health Provider Shortage Areas? Physicians practicing in determined “health provider shortage” (detailed info here) areas will be eligible for a 10% bonus payment. How Does This Incentive Relate to ePrescribing or PQRI? If the PQRI Program is extended in its current form, practices can participate in both PQRI and an EHR Incentive Plan. If the EP chooses to participate in the Medicare EHR Incentive Program, they cannot participate in the Medicare eRx Incentive Program simultaneously. If the EP chooses to participate in the Medicaid EHR Incentive Program, they can participate in the Medicare eRx Incentive Program simultaneously. Also, e-prescribing penalties sunset after 2014, so that no physician will be subject to penalties for failing to both e-prescribe and use an EHR! How Do EPs Get Paid For Meaningful Use of a Certified EHR? For the first payment year only, all an EP or hospital has to do is to be a “meaningful user” for a continuous 90-day period during the payment year. Hospitals’ payment year is October 1 to September 30 and EPs’ payment year is the calendar year. You must start and complete the 90-day period within the payment year with no overlapping. Also, if you can qualify as a Medicaid Eligible Provider (or Hospital), are in the process of adopting, implementing or upgrading your EHR and your Medicaid patient volume is at least 30% (Pediatricians only need 20% minimum and Hospitals need 10% minimum), you can collect your incentive money without meeting Meaningful Use criteria. Attestation forms and forms of other types are most likely the way that EPs will provide information to apply for the incentive funds, although the details have not yet been released. What Does it Mean to Transition From One Program (Medicaid or Medicare) to Another? EPs who meet the eligibility requirements for both the Medicare and Medicaid incentive programs will be able to participate in only one program, and will have to designate which one they would like to participate in. After their initial designation, EPs are allowed to change their program selection only once during payment years 2012 through 2014. How Do I Get My EHR Stimulus Money? Decide whether you are an eligible provider for any of the programs. Use your EMR in a way that demonstrates your meaningful use of the product. Pass “GO” and collect your money. HIStalk (an interesting healthcare IT blog written anonymously) has a great interview with Michael Nissenbaum, President and CEO of iMedica. Nissenbaum speaks about his 10 years in the field with Millbrook, GE and now iMedica, talks about Misys leasing the iMedica EHR product under the name MyWay, and gives an interesting rundown of some players in the ever-changing field of medical practice software.